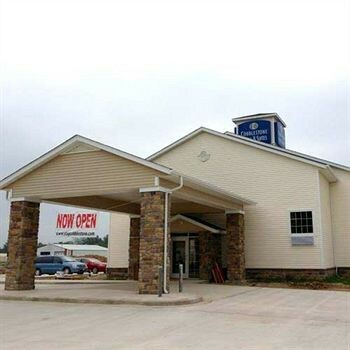 Property Location Located in Newton, Cobblestone Hotel & Suites -- Newton, IL is in a rural location and within the vicinity of Jasper County Museum and Sam Parr State Fish and Wildlife Area.Rooms Treat yourself to a stay in one of the 37 guestrooms, featuring private spa tubs and flat-screen televisions. Digital programming and DVD players are provided for your entertainment, while complimentary wireless Internet access keeps you connected. Conveniences include safes and desks, as well as phones with free local calls.Rec, Spa, Premium Amenities Enjoy a range of recreational amenities, including an indoor pool, a spa tub, and a fitness center. This hotel also features complimentary wireless Internet access, a fireplace in the lobby, and a television in the lobby.Dining Grab a bite from a grocery/convenience store serving guests of Cobblestone Hotel & Suites -- Newton, IL. Mingle with other guests at a complimentary reception, held daily. Quench your thirst with your favorite drink at a bar/lounge.Business, Other Amenities Featured amenities include a 24-hour business center, a computer station, and complimentary newspapers in the lobby.